In my kitchen I have these new produce bags. They were my monthly delivery from Mighty Nest. They will come in handy when shopping. Heck, I can even use them to pick from my own garden! Also in my kitchen are these new plates. I couldn’t resist them at the store recently. What can I say, it was a weak moment. Besides, they were cheap (from the new Ree Drummond line at Wal-Mart). In my kitchen I have some new grown up drinks! Josh and I had a date night and went to Copper Horse Distilling. It was perfect, we got a personal tour since it was close to game time for our local Gamecocks! We learned quite a bit and enjoyed the tasting room. 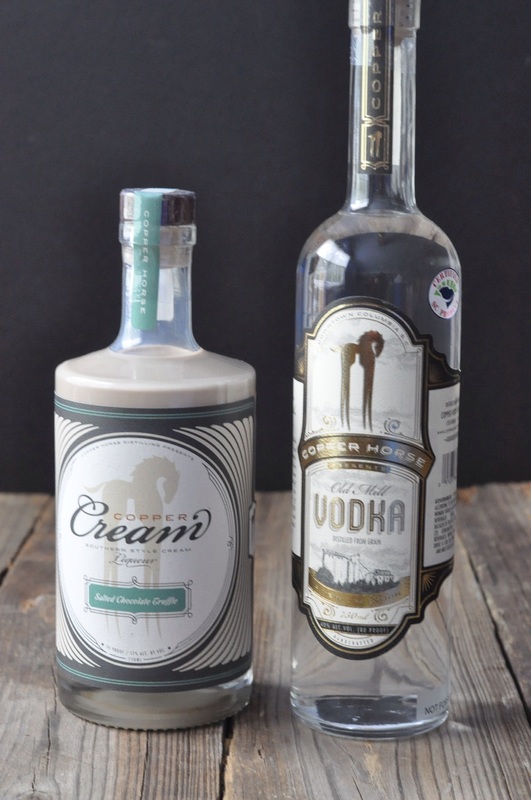 We brought home a bottle of their vodka and salted chocolate truffle cream liqueur. Good times ahead! In my kitchen the smells of autumn have arrived with pumpkins! Last weekend the boys and Josh went camping (in the rain) with the Cub Scouts. That left me home alone, yippee! While I wasn’t in the kitchen as much as I would have liked (I spent my time cleaning the boys’ rooms from top to bottom and getting out/washing their cooler weather clothes), I did manage to roast two pumpkins and freeze the purée for later use. 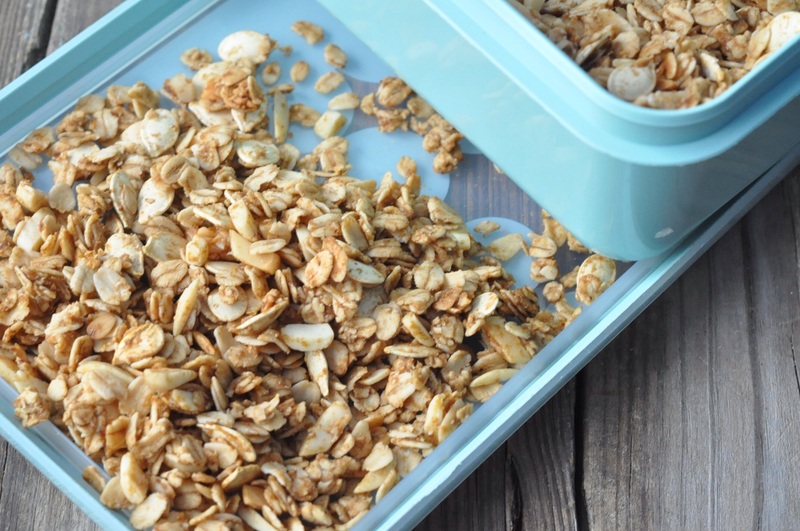 What didn’t go into the freezer was made into a pumpkin granola which included the pumpkin seeds. The recipe is hopefully coming soon, it needs a minor tweak first. This weekend I thawed some of the pumpkin and made these chocolate and cinnamon chip pumpkin oatmeal bars. This turned out well and went with us to our neighbor’s house for a night together. We needed time to get our boys together for some wild times after being cooped up during the rainy day! 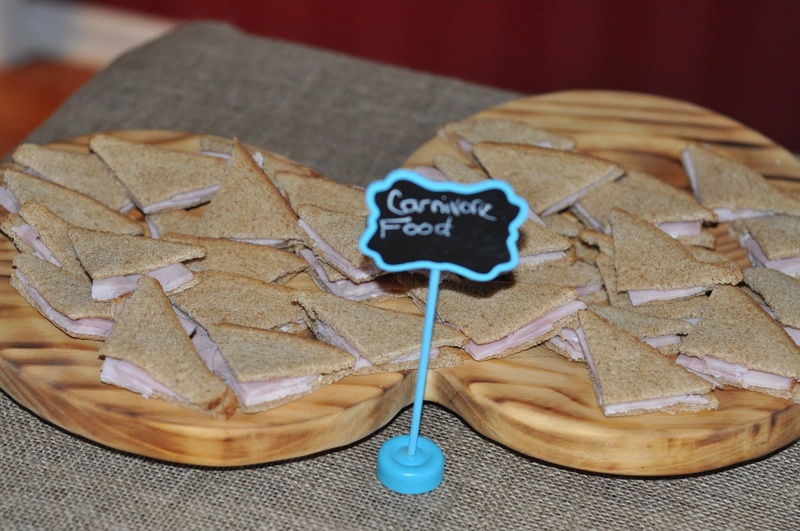 The boys will declare them delicious….because I couldn’t see them they were able to sneak some. By some I mean Sean had two, Jack had five and Ewan got caught eating his fourth! Ewan later complained of a stomach. I sent him to the bathroom and he threw up. Adults get sick drinking too much with friends, apparently my kids get sick eating too much! This recipe also needs to be tweaked a little before it is blog worthy. I also have a few photos from Sean’s birthday party. The quality isn’t the best. I still haven’t figured out how to be a caterer, hostess, party planner, photographer and mom all at once! Fun was had by all and that is all that matters. Hopefully things will be up and running smoothly in my kitchen soon. Boiling water gets old pretty quick, though it beats the alternative of not having any at all. Take a peak into kitchens around the world by stopping by Fig Jam and Lime Cordial. What a great post! The distillery sounds awesome, as does a weekend sans young kids. 🙂 My kids would love those cookies…. A weekend without the kids is always fabulous! Nothing like a distillery, especially the tasting room. Nice to have a local alcohol using local corn that tastes great too! Double check me on the corn part, I’m starting to question my sanity/memory! Thanks for the peep into your kitchen. 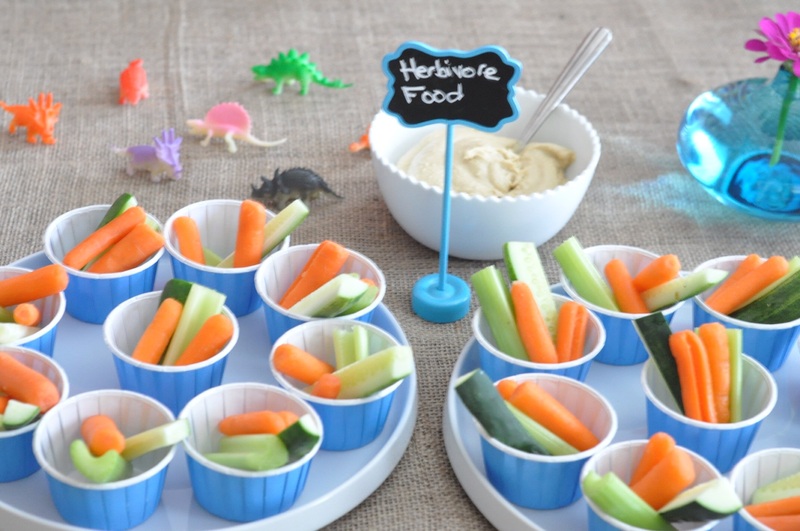 Love the dinosaur themed birthday food, great idea. I have similar produce bags, they are mandatory while shopping and gathering produce from the garden. I usually take a basket to the garden but these bags will work very well. The boys can even help too which they love. The dinosaur party was fun, luckily I’m off duty now. 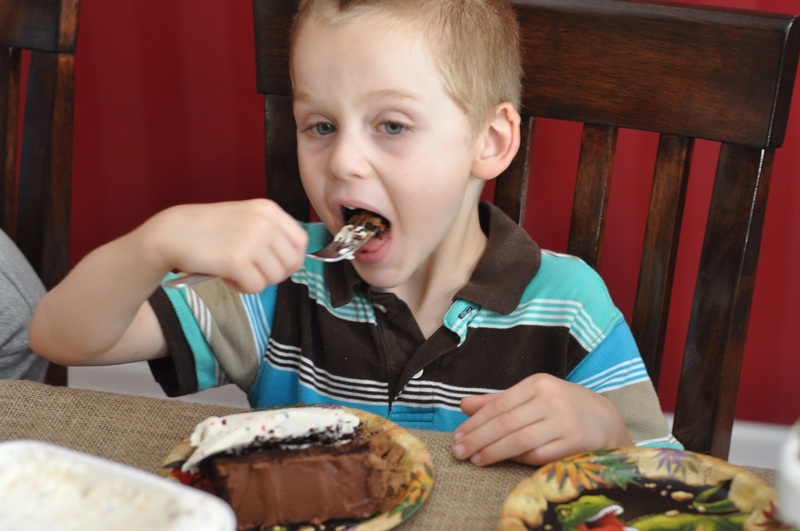 The oldest doesn’t get a party this month, just brunch, dinner at home and then later dinner out and a cake! Happy celebrations gorgon here! The produce bags are a great idea those plates are really pretty. 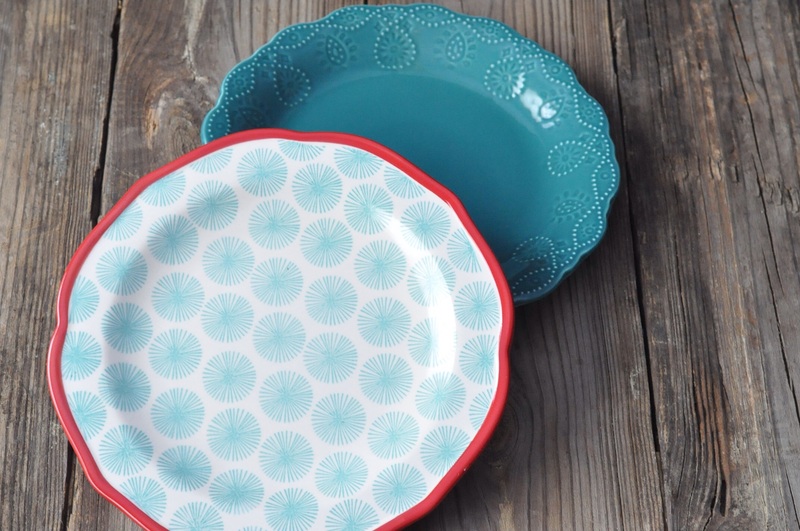 I seem to love plates more the older I get! Love the party labelling! Plates are just so fun. Nothing like a nice meal on a beautiful plate. The birthday times continue already with another birthday coming up in less than two weeks! Thanks for stopping by. Alcohol definitely helps! Thus the distillery tour date night. Our biggest struggle now is cooking and doing dishes while using boiled water. Happy birthday to Sean! 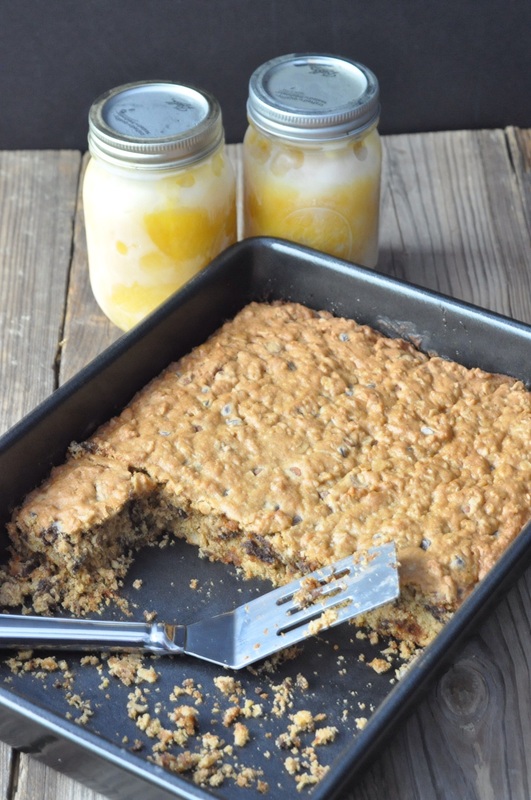 I am looking forward to trying those pumpkin, chocolate chip and cinnamon oatmeal bars because they sound ah-mah-zing! I am so sorry to hear about the flooding. It sounds like it quite devastated your area but I am glad that you and your family were relatively untouched. I hope that your October stays floodless and that you have lots of fun with Hallowe’en related stuff! I’m definitely looking forward to Halloween goodies. The bars were great, I’ll tweak it and post it hopefully soon. We still have another boy birthday coming up which means another birthday cake. Can’t wait to hear about the next birthday bash! And looking forward to that recipe! nom! Thanks Amy! Luckily I am off party duty. That was the last, the 5th birthday is when I tell them no more parties! Gretchen, thank heavens you’re safe! It sounds like you’ve got a good perspective on your blessings, and our hearts & prayers join yours for folks affected by the flooding with loss of homes and lives. Glad to hear you managed to have a date night in spite of things (that chocolate truffle cream liqueur sounds wonderful) and your “Jurassic” birthday party is just the cutest! Take care. Funny how date night always seems to involve food or beverages! After the distillery tour and dinner out we went to the grocery store. While I am thankful we survived the flood with hardly any damage I am finding it very frustrating cooking and doing dishes while having to use boiled water. Don’t get me started on brushing teeth with bottled water…. At least I don’t need to haul my water! Gretchen the party looks like a lot of fun. BTW I love your plates. Thanks Glenda! The party was plenty fun and delicious. The plates are fun, not sure what recipe I’ll have to create for their first proper blog appearance. All your party goodies look awesome. Those plates are gorgeous. the dinosaur prints look like great fun! i bet they were a big hit. small boys (and girls?) love dinosaurs. i would love to try that salted choc liqueur. yum. 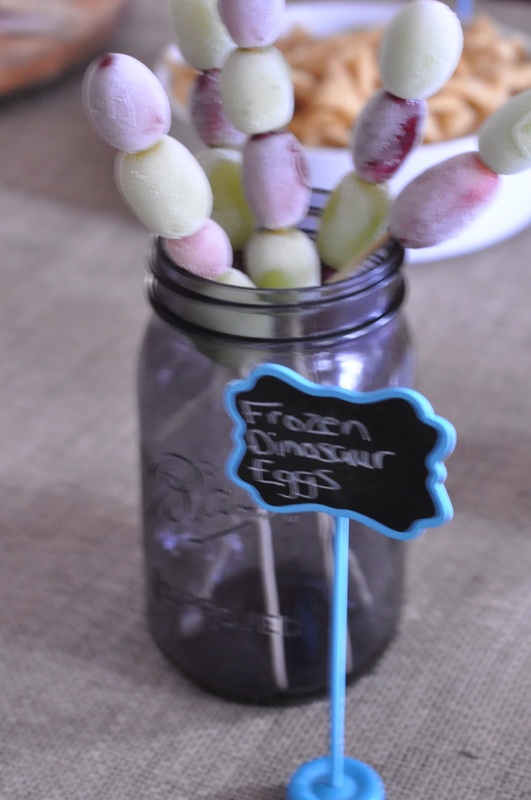 The dinosaurs were very popular, especially the frozen eggs (frozen grapes)! Thanks for stopping by. Oh you poor thing. I don’t know how you keep up. Life is so very hectic these days. Yiou did a great job on the party! Thanks so much! We had fun with the party. It’s all a balancing act and prioritizing what’s important. My challenge now is cooking during a water boil advisory. With all the horrible flooding, it is nice to know that you are all safe and sound. 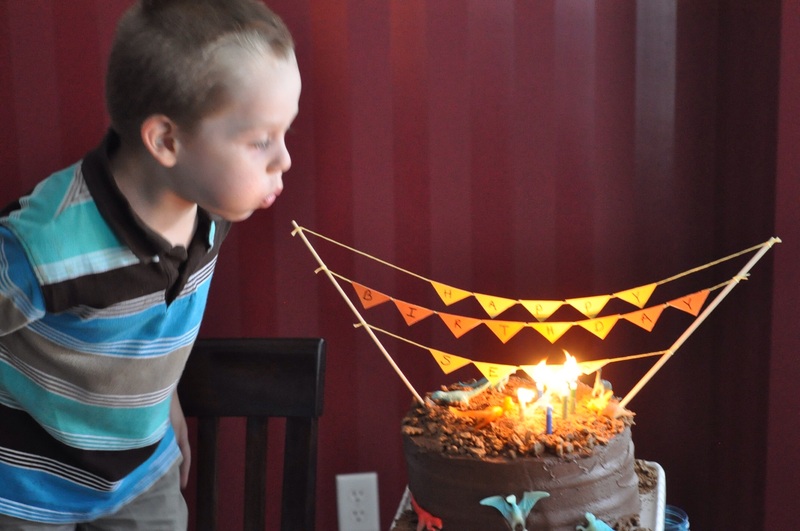 Love the photos from the birthday party…it looks like there was lots of fun that day. We were indeed lucky to be spared any major damage. 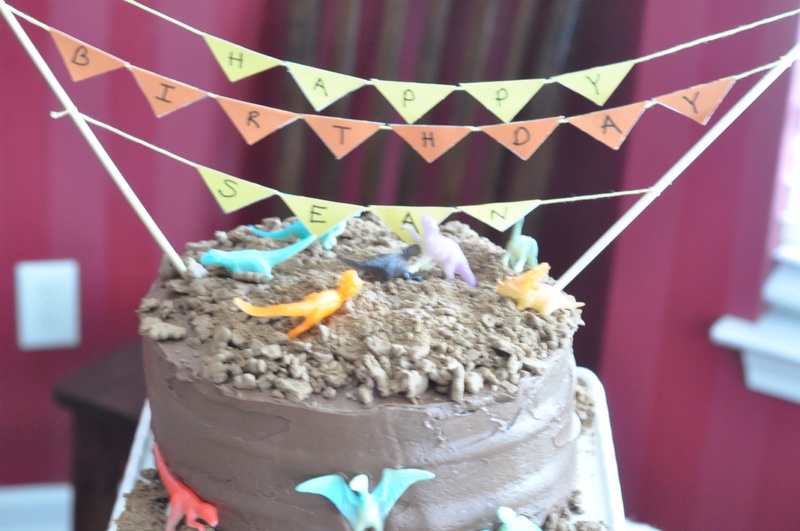 The dinosaur party was quite fun and now we are already plan I g the next birthday cake for another birthday this month. How fortunate that you were spared the worst of last week’s storms and floods. So many lost so much. We were definitely very lucky. As for the dinosaur party it was great, but I’m glad it’s over. We have another birthday this month but all I need to do for that is brunch and a cake. Thanks for peeking in our chaotic kitchen. Next month ought to be a fun IMK post with all our water boiling adventures…. Pinterest is a great source for party ideas! What did we ever do before it existed?! Thanks for stopping by. I like those produce bags. I avoid bags when I can but sometimes those grapes just need a bag to stop them escaping don’t they? I think I should stop procrastinating and just buy some. Thanks for motivating me. Love the frozen dinosaur eggs. The frozen dinosaur eggs were the most popular item! I love it when fruits and vegetables are popular with the kids. 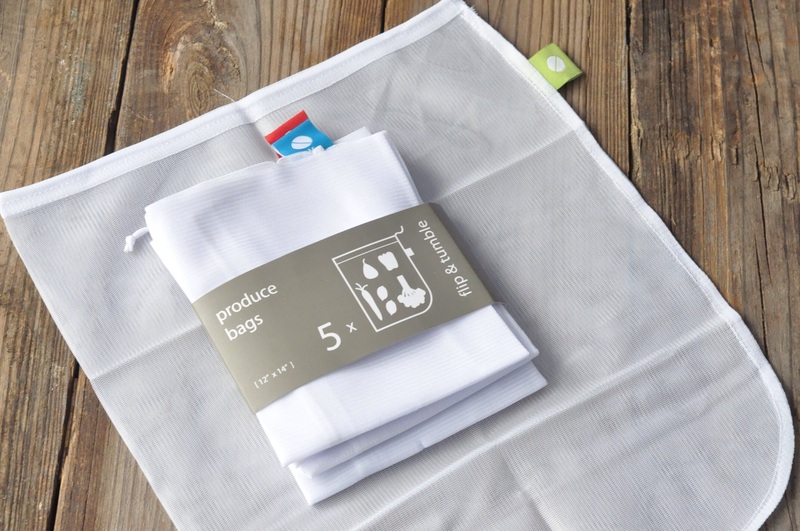 The produce bags are indeed wonderful, you should get some. Thanks for stopping by and peeking in my kitchen. The new plates look very beautiful. I absolutely love the colour combination. The salted chocolate truffle liqueur got my full attention of course. I would love that in my kitchen. The oatmeal bars are a great idea. Belated Birthday Greetings to Sean. I really love the Dinosaur theme and all the innovative stuff you made, especially the herbivore food and dinosaur footprints. You are very creative. I am sure everyone loved it. 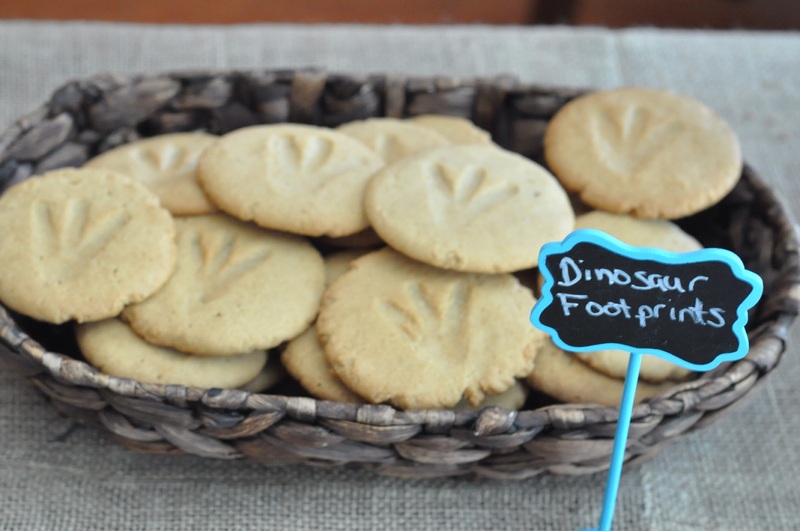 We just finished the last dinosaur print cookies from the freezer today! The plates are fun, I might be tempted to get more of those dishes sometime.